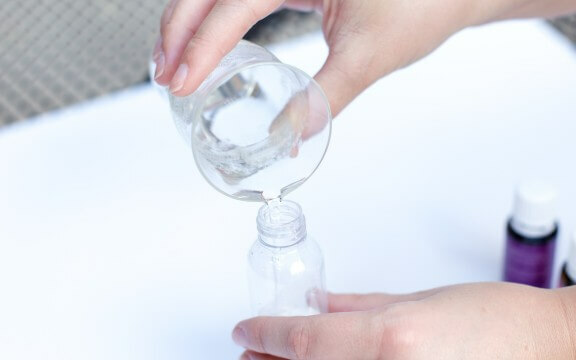 Our stylish friend, Liz, is here today to share with you a quick and easy DIY project that’s perfect for summer! Happy weekend, friends! I hope you all had a great week. 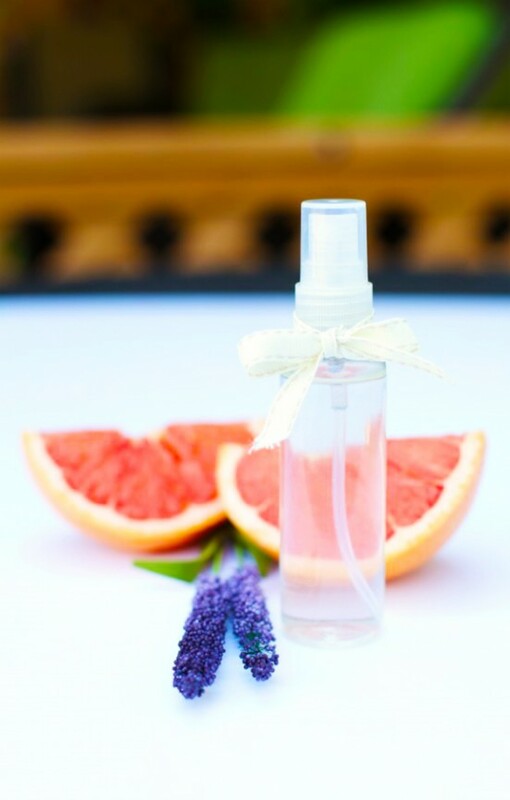 Summer has been in full force in Kansas City and it has had me itching for a new summery scent. I have noticed lately that strong perfumes and colognes have been a little much for me. So I have been exploring some more natural and herbal scents. After some searching in stores and online for one that I loved, I decided my best bet would be to make my own. (Surprise!) 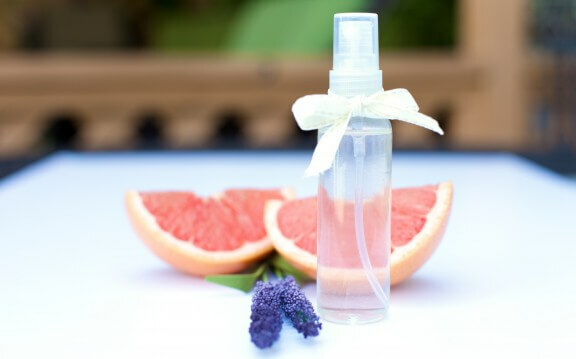 So I used some essential oils and water and created a scent I love that is fresh, light, chemical-free and perfect for summer. I hope you all enjoy it as much as I do! 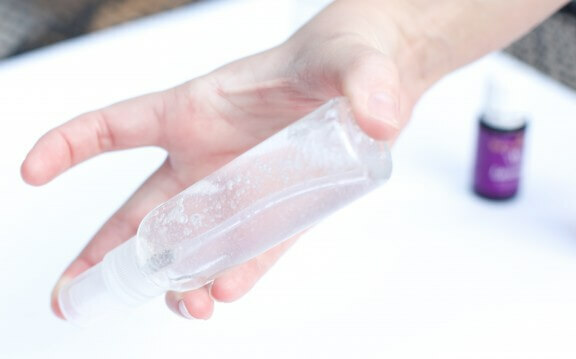 Fill your spray bottle up with water. The bottle I used holds up to 2oz so I filled it almost to the top leaving space for my oils. Drop the grapefruit oils into the bottle one by one. 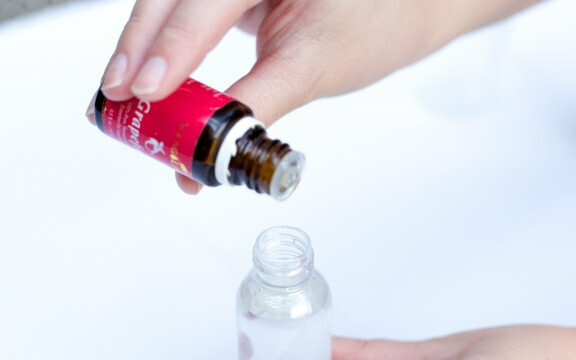 I used about 10-15 drops, but you can add or subtract drops to your liking. 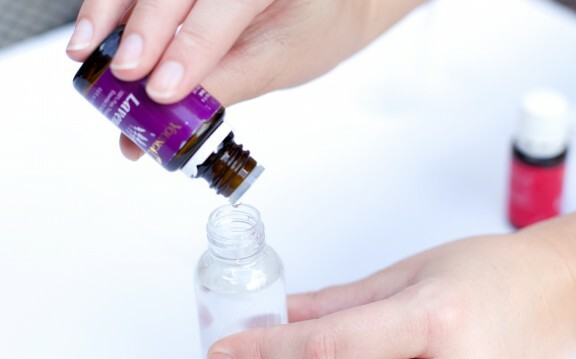 Drop the lavender oils in the same way, using 10 drops or so as well. 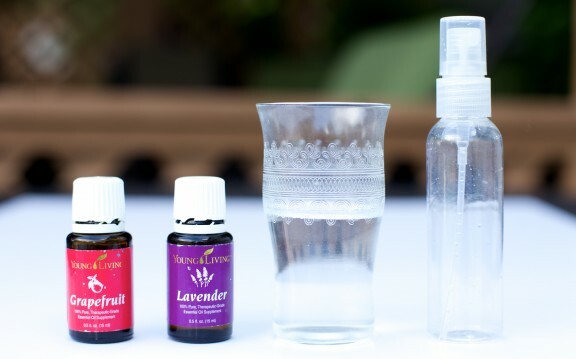 Shake your bottle to mix the oils together. 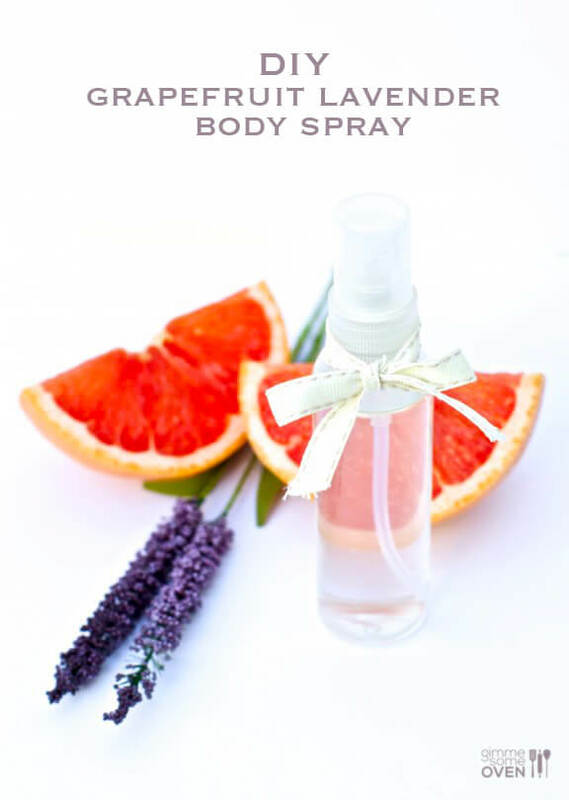 Spray your new body spray to make sure it is at the desired strength. I love how fresh this smells and that it doesn’t have any harmful chemicals. It is perfect for a casual summer day or a nice evening out. I have also used it as a room air freshener as well and I love the way it makes my home smell. So fresh and yummy! I love this, Liz!! Since I’m still nursing I have been avoiding a lot of sprays but this one sounds perfect! This combo sounds yummy but it will need an emollient like Polysorbate 20 or 80 to keep the oil and water blended and also very important is a preservative. Whenever oil and water are mixed a preservative is needed to prevent spoilage.